Successful relationshpis are based on the ability of the partners to stay together when confronted with adversity. All couples face the same challenges with trust, money, priorities and other issues; but successful couples are the ones who know how to address those challenges instead of breaking up because of them. Our founder Dr. Mastrapa has been working on the fields of relationship building, personal communications, and cultural behavior for many years; and was recognized as one of the 2016 Top Global Cultural Experts. 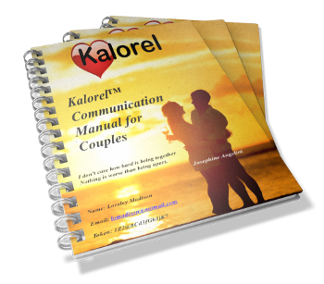 Based on his personal and professional experience, he developed the Culturally Aware Love and Relationship Model (CALOREL), which is designed to help modern couples identify and address the issues that will impact their relationship. What is the Relationship Discovery Program. The Relationship Discovery program is a scientifically developed and tested program based on the CALOREL model, designed to identify and address how your personal preferences and values impact your relationship. Today couples meet online on Facebook, date online on Tinder, call a cab online on Uber, travel online with AirBnB; why does relationship counseling has to be different? Departing from more classical relationship advice models, our program is designed to meet the needs of the modern, internet enabled, social-media aware couples. You will be able to register, complete the questionnaire, receive the report, and even talk to a counselor if you prefer completely online. Why do we need another Relationship Program? Because you can’t fix 21st century relationship problems, with 19th century Freudian relationship solutions. A basic google search for “relationship counselors”, “relationship coaches”, or “dating experts” may help you find thousands of “relationship experts” out there. The problem is that until now all of these experts are still using the same strategies developed by Freud back on the late 1800’s. Easy to answer and non-judgmental online questionnaire designed to identify how your personal preferences impact your relationship. Confidential, but you still need to meet the counselor and potentially other people and staff during the process. Can be tracked by the counselor, insurance company, etc. Need to schedule visits to the counselor site. Potential conflicts with work or personal time, and complications because of the need to travel to the counselors office. The process is done completely online. You will answer the questionnaire and receive your confidential individually customized report anywhere you want. You can complete the questionnaire in less than 30 min. As soon as the both of you complete your individual questionnaires, you could receive your individually customized report in as little as the next day. Standard “counseling” sessions costs anywhere from $100-$300hr. Multiple sessions are needed first to identify the problem and after that to figure out how to solve it. Still after that, couples are send back home to “work on their issues”, and asked to come back for more sessions. Because counselors get paid by hour, complete programs average over $1,500. Each couple will pay only a one-time fee of $99.95 for your individually customized report. The recommendations on what to do are included in the report, and couples can work on it on their own (no cost). Couples always will have the choice to work with one of our trained coaches (completely optional and at an additional price if they chose so). Counselors generally will not give you advice, tell you what to do or try to solve your problems. They will help rather you to talk through the issues and help you to decide on your own solutions. Based on your questionnaire responses our program will generate an individually customized report for each one of you. Our report will show your personal preferences, a comparison of you and your partner, and the top three differences between the two of you (including the specific recommendations to address these differences). There are no guarantees. Coaches charge for their time and for helping you find “your solution”. 100% satisfaction guarantee. If neither one of you feel that our program helped you, we refund your money no questions asked. Your personal relationship is potentially the most important part of your life today; and its success or failure will definitively impact the rest of your life. Our Relationship Discovery Program is designed to help you develop the skills and abilities needed for a modern successful relationship. It is more accurate, confidential, easier to use, and convenient than any of the standard options available there for you. And we are the only ones who offer you a 100% satisfaction guarantee. Considering all of the benefits, and that really there is no risk to you. What are you waiting for.